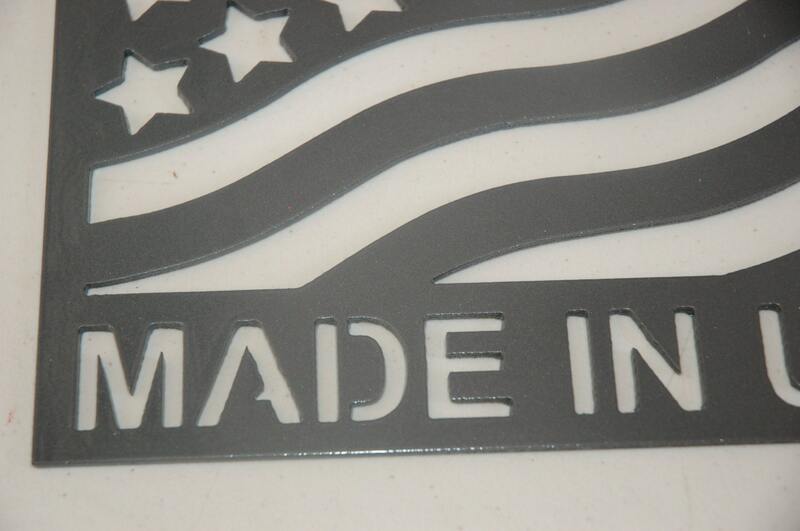 MADE IN USA sign/plaque with the flag. 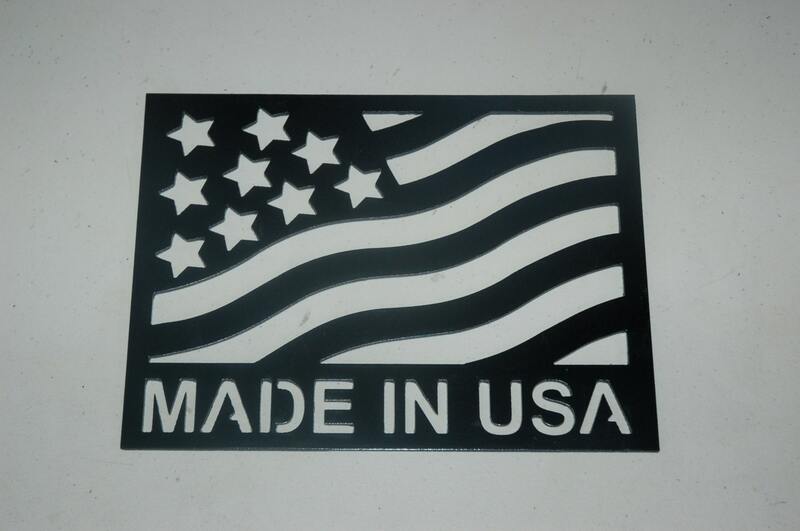 1/8" American made steel, manufactured right here in Florida. Acid washed and hand oiled, this sign makes a bold statement. 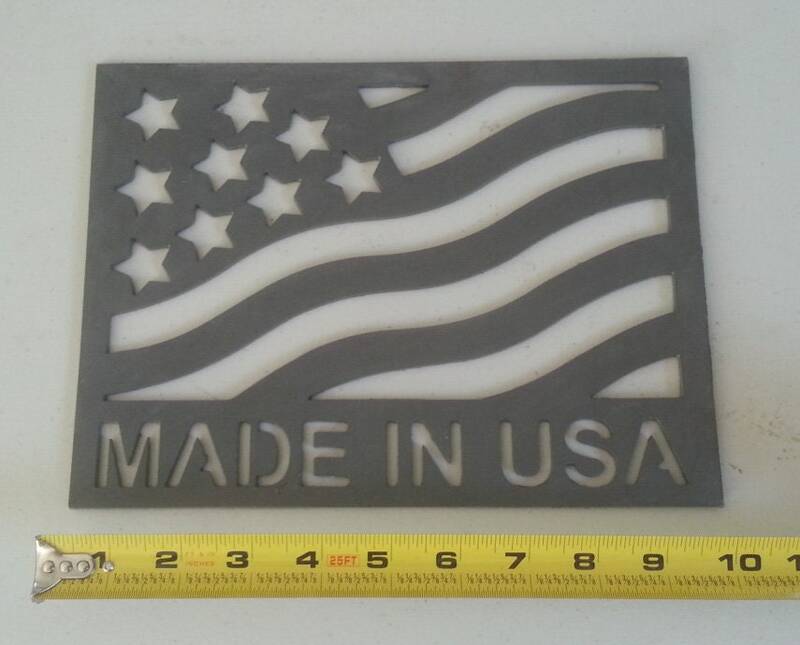 Overall size 10" x 7.5"
The first picture is the sign powdercoated gunmetal metallic. Second photo shows powdercoating in black. The last picture is the sign in raw steel which has been oiled. The powdercoated finish will not rust or oxidize outside, however you should expect the raw steel version to patina/rust if left outdoors or unattended. Item can be finished in your choice of powder color...... just ask! 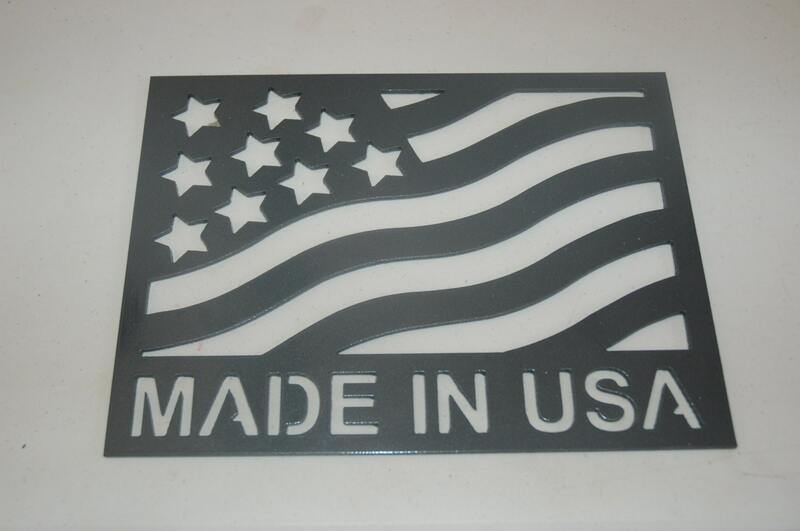 Perfect for displaying your patriotism in your business or home! Oh my gosh this was such a perfect gift for my husband! He is obsessed with buying everything made in the u.s.a, so this was perfect! It is such a solid piece, beautifully made! Shipped very fast!